Use your smartphone for health alerts, instant checkups and to monitor the overall well-being of your pet. Browse your pet’s vital signs and activity levels, and share the information with your vet. Ideal for old, sick and at-risk pets. Early diagnosis and treatment is critical for old and at-risk pets. 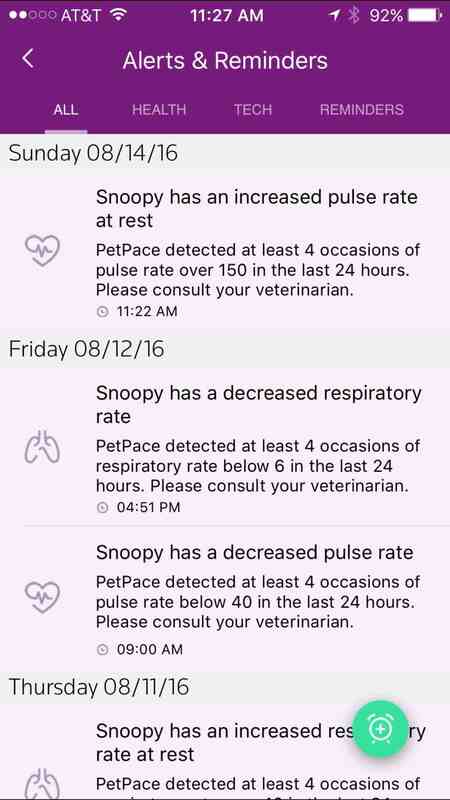 PetPace makes that possible by alerting you and your veterinarian immediately when it detects something out of the ordinary. You and your vet receive via the Dashboard a comprehensive overview of your pet’s current and historical health that the collar has collected and the Health Monitoring Service has analyzed through a cloud-based analytic engine. If PetPace detects any abnormalities in your pet’s physiology or behavior, it sends an Alert in real-time to you and your veterinarian, allowing for prompt care of your pet. 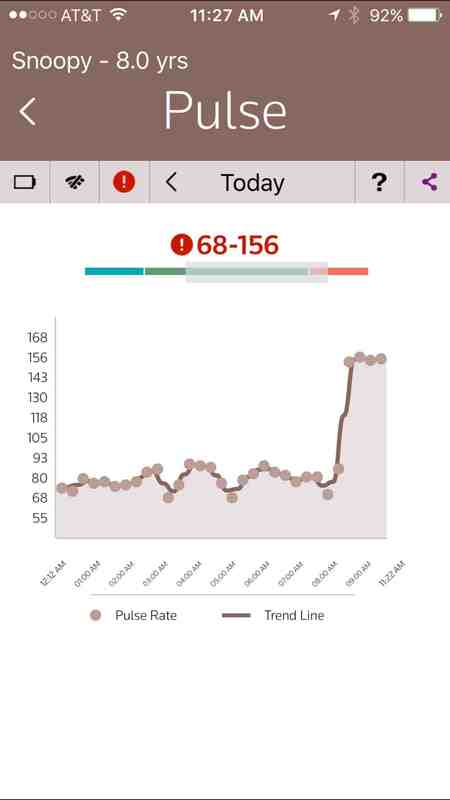 The Dashboard and Alerts work with iPhone and Android smartphones, and the interface is easy to read and understand. You can also access your pet’s health information on the web with PetPace Plus. Your vet can receive this same information via smartphone or web-based application.